Insurers must limit payouts and deny benefits for uncovered claims in order to keep premiums low. But when disputes arise over coverage determinations or allegations of bad faith, do you know what to do? This program will teach you how to knowledgeably argue your client's position when litigating insurance claims. Gain the practical skills you need to win your first (or next) insurance case - register today! Grasp the rights and duties of insurers and insureds. Determine a policyholder's coverage position to evaluate the strength of a claim. Dig through the insurance claims file for evidence supporting or refuting bad faith claims. Find out what precautionary and defensive actions insurers can take. Gain useful insights on negotiating and settling bad faith and breach of contract claims. Uncover practical pointers for deposing insurance claims adjusters. 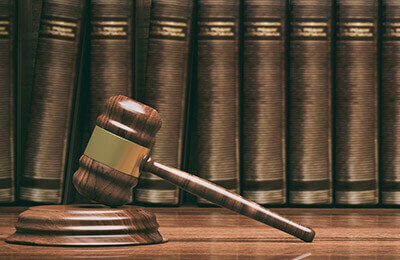 Navigate the insurance coverage litigation process - from initial pleadings to trial. Arm yourself with the latest insurance coverage litigation case law. Delve into ethical issues stemming from the tripartite relationship. This basic-to-intermediate level seminar for attorneys is a practical introduction to insurance coverage disputes and litigation. Insurance claims adjusters, claims managers and paralegals may also benefit. Is There a Duty of Good Faith Owed By Insured to Insurer? What is Recognized as Bad Faith? Was the Insurer's Duty Triggered by the Complaint? Delayed/Denied Payment: Negligence or Bad Faith? Sample Pleadings, Motions, Discovery Requests, Etc.